Raspberry and Lemon Cake with Cream Cheese Frosting - Leo Tunapika? I’ve known Rachael for more than half my life! She loves traveling, reading books and dogs. 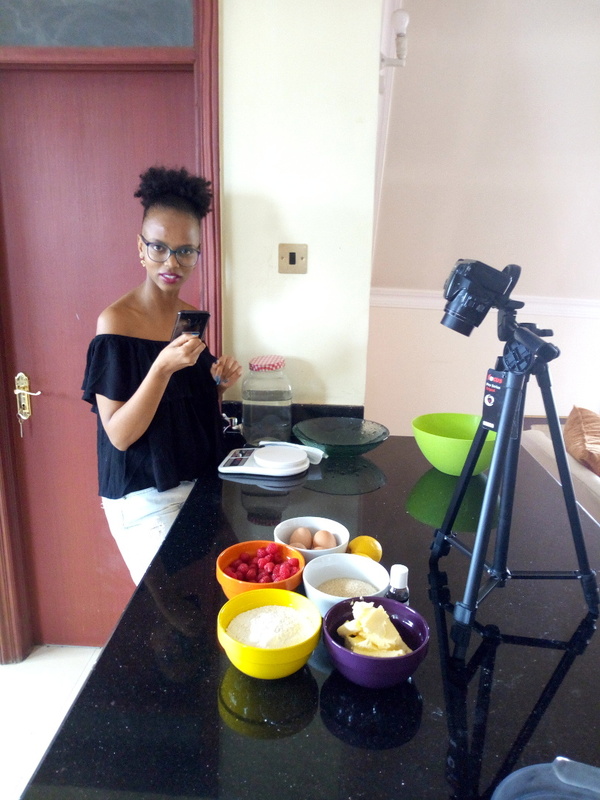 She also runs a travel blog Safari254. 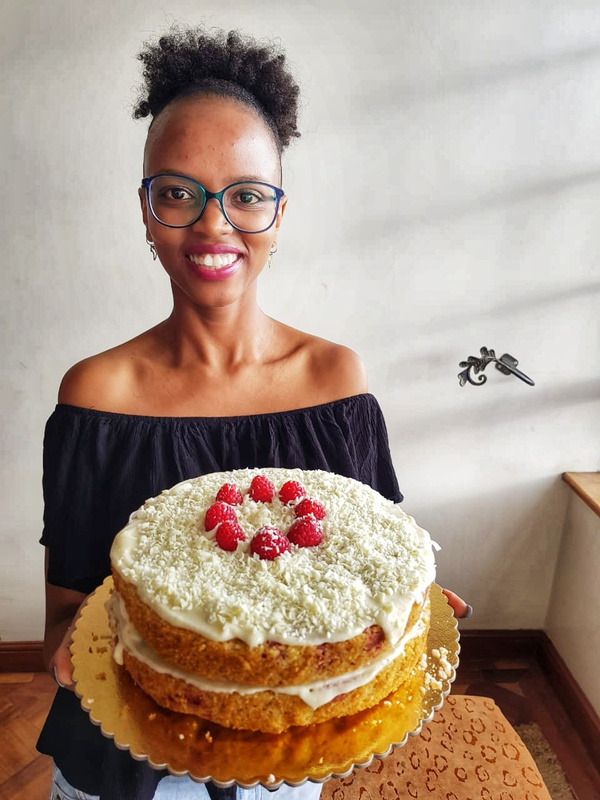 Today is her birthday, she had me over at her place over the weekend and we baked a birthday cake. A raspberry and lemon cake with cream cheese frosting. This cake is one that I absolutely love and I first created for my daughter’s second year birthday, and I’ve been recreating it ever since. 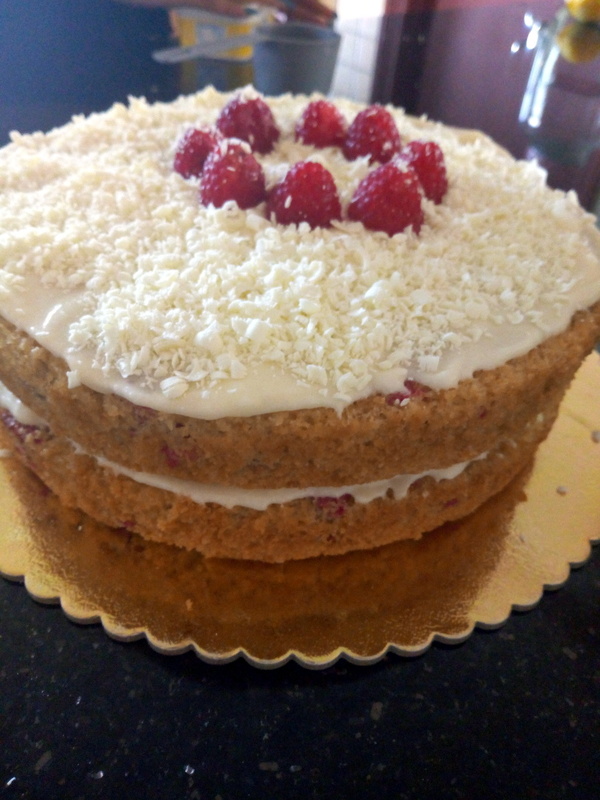 The raspberry lemon cake is such a decadent cake perfect for special occasions or when you just want to spoil yourself. It doesn’t need a lot of ingredients, just good quality stuff and you are set. Before you start mixing always ensure you pre heat your oven. In a bowl add the sugar and unsalted butter. Another tip when baking ensure the ingredients are at room temperature, so let the butter and the eggs rest 30 minutes to 1 hour prior to using them. 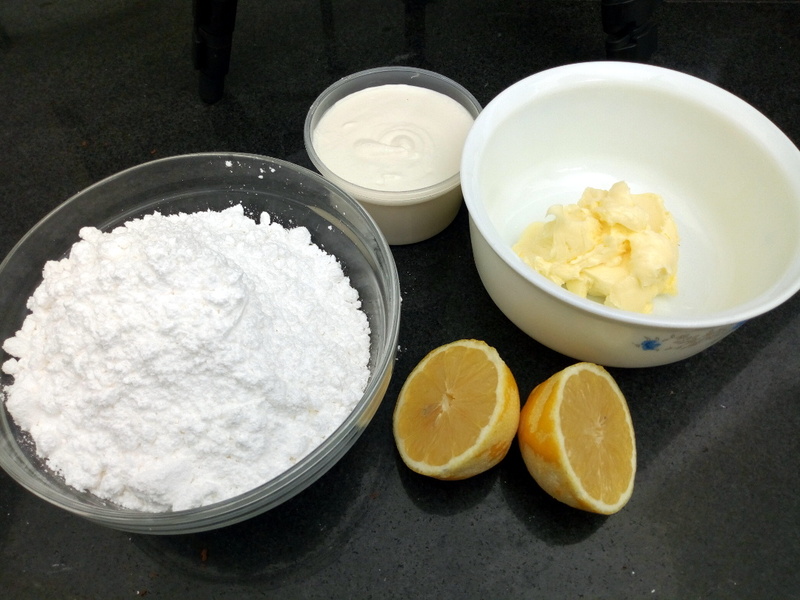 Using an electric mixer, beat the sugar and butter until the mixture is pale in colour and creamy. Then add the vanilla essence. Other than flavouring the cake batter, the vanilla helps to mask the egg smell in cakes. 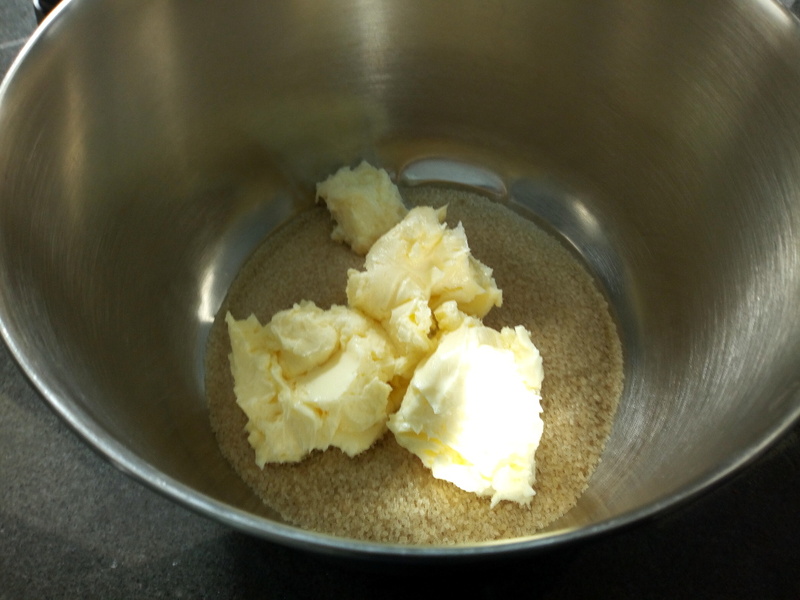 Break the eggs in a separate bowl, one by one then add to the butter and sugar mixture. Then grate in the lemon peel. I usually do it directly so that all the oils in the peel fall in. The mixture might curdle but it’s pretty normal. Aki guys, on this day I was doing so many things at once, so there are some photos I forgot to take, not to worry though the video of Rachael and I making the cake is at the end of this post so you won’t miss a thing. In a bowl, mix the flour and baking powder, then add it into the eggs, sugar and butter mixture. 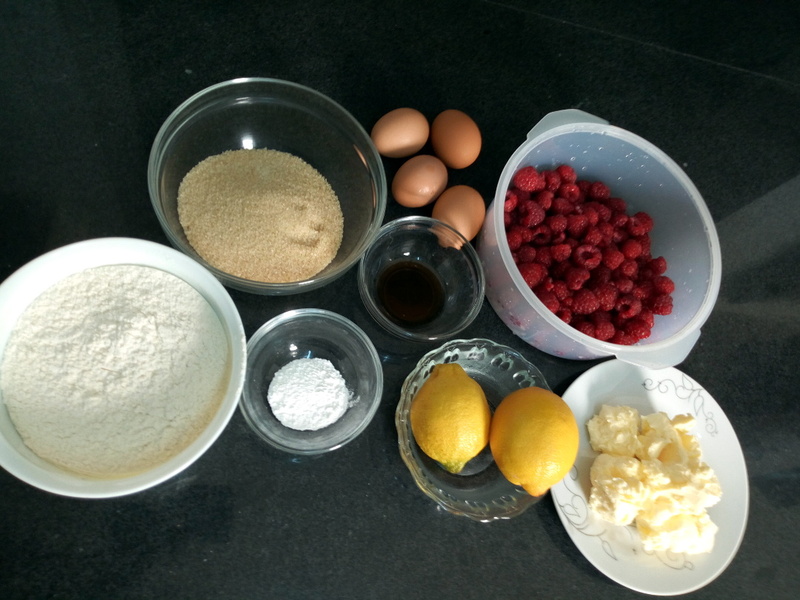 Reserve about two tablespoons of flour to cover the raspberries. Gently fold in the flour. Don’t over mix, you don’t want a dense cake. 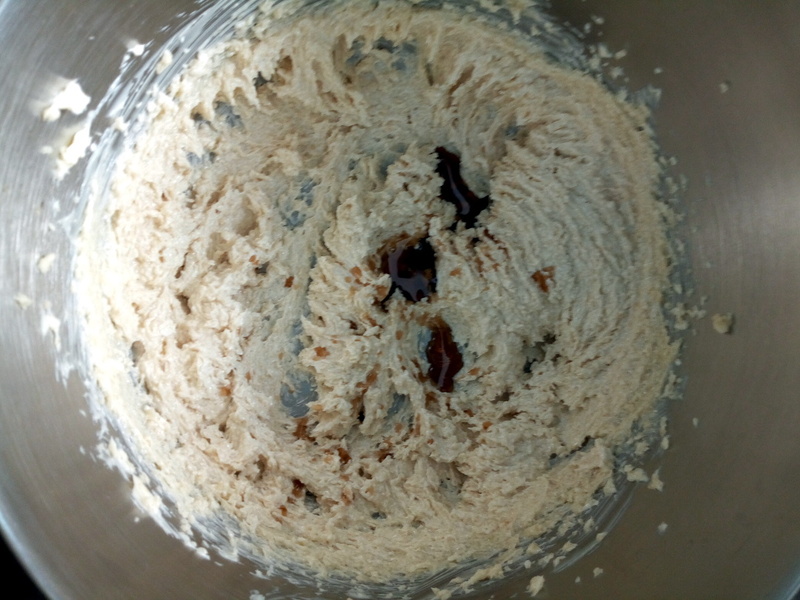 Once the flour is incorporate stop mixing. Take the raspberries and coat with the remaining flour. Add them into the cake batter and fold them in. the coating of the raspberries with the flour ensures they don’t all rest at the bottom of the cake. Prepare two round 9 inch baking tins. Lightly grease with butter and dust with some flour. Divide the batter between the two tins and bake until a toothpick inserted in the centre of the cake comes out clean. Now for the cream cheese frosting. In a bowl, mix the unsalted butter and cream cheese until smooth. Add the icing sugar and juice of one lemon and mix until smooth. Apply the frosting on the top layer of one cake then place the other cake. Spread over the remaining frosting on the top layer and decorate with some raspberries and white chocolate shavings. Happy Birthday Rachael, wishing you all the best with this coming year. 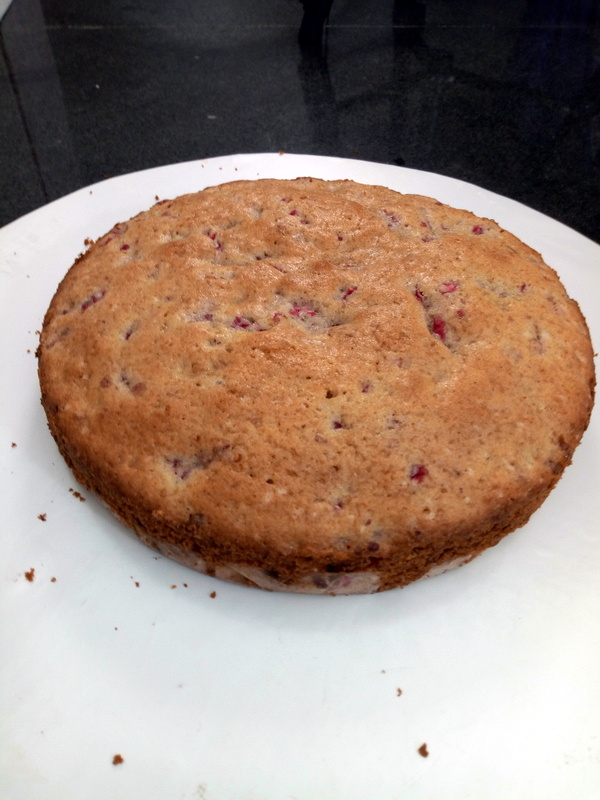 This cake smells and tastes amazing, the tartness of the raspberries to the kick of the lemon zest. Delicious, do try this recipe out and let me know how it goes. Prepare two round 9 inch pans, lightly grease with some butter and dust with flour. 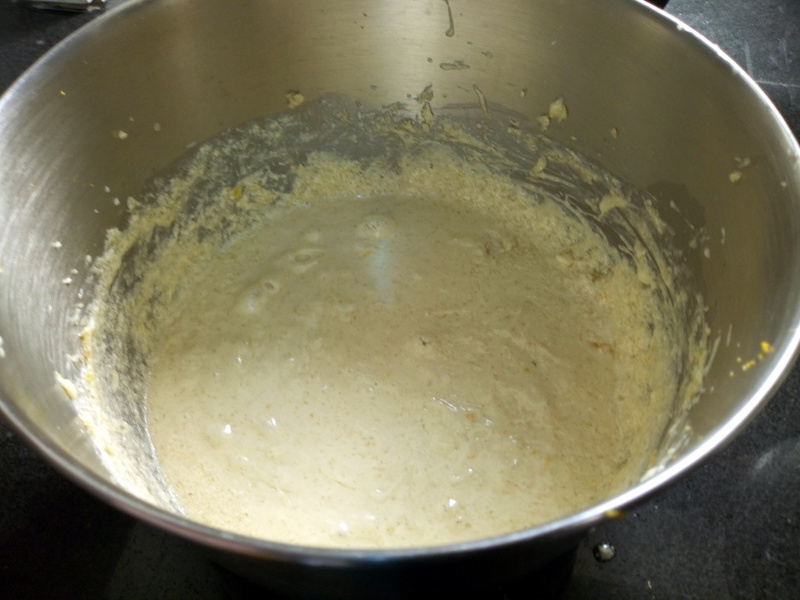 In a bowl, using an electric mixture, cream the sugar and butter until pale and creamy. 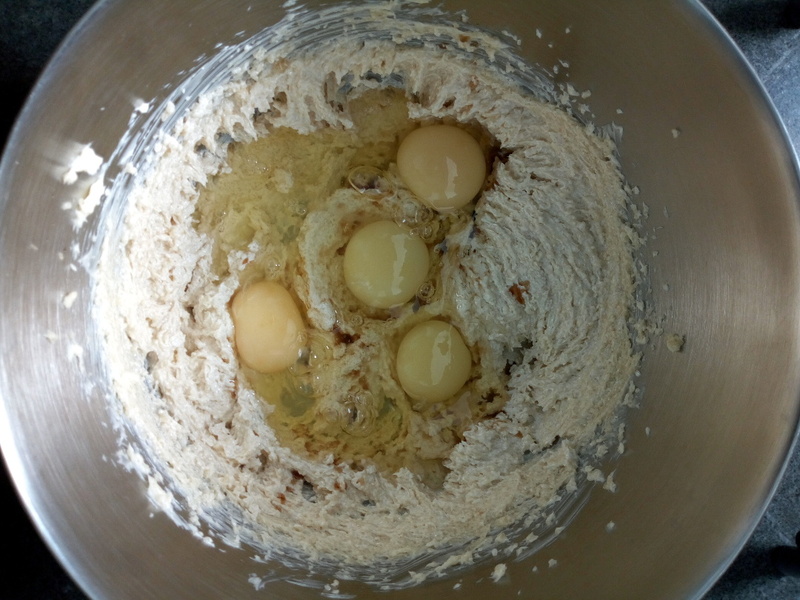 In a separate bowl break in the eggs and add them one by one to the sugar and butter mixture. Grate in the lemon peel. Reserve two tablespoons of the flour mixture. Then fold in the flour mixture into the egg, sugar and butter. Coat the raspberries with the reserved flour mixture and fold into the cake batter. Divide the batter equally between the prepared tins. Bake for 25-30 minutes at 180 degrees C or until a toothpick inserted at the centre comes out clean. Allow the cakes to cool off completely before frosting. In a bowl using a mixer, cream the butter and cream cheese until smooth. Add the lemon juice and gradually add the icing sugar while mixing until smooth. Spread over the frosting on one layer of cake , over with the second cake layer. Add more frosting on the top and decorate with raspberries and white chocolate shavings. Love it! Happy birthday Rachael! Frosting has always been my greatest challenge. Thanks for this. must try..very easy recipe to follow. do tell me how it goes. A must try… thanks for sharing. I love naked cakes..this one looks so good,i bet it tastes heavenly. Me too, more cake to enjoy. This one was heavenly and decadent. I only watched the video and didn’t read the blog post. I will be attempting to bake this solo this weekend. Wish me luck! Also, thank you for being a wonderful friend.